Like Caroline Gardner? Click here to view the entire range. Practicality meets high fashion with this stylish stationery addition to the ‘Rose Tinted’ range of accessories, allowing you to stand out from the crowd whilst maintaining a sophisticated look wherever creativity takes you. 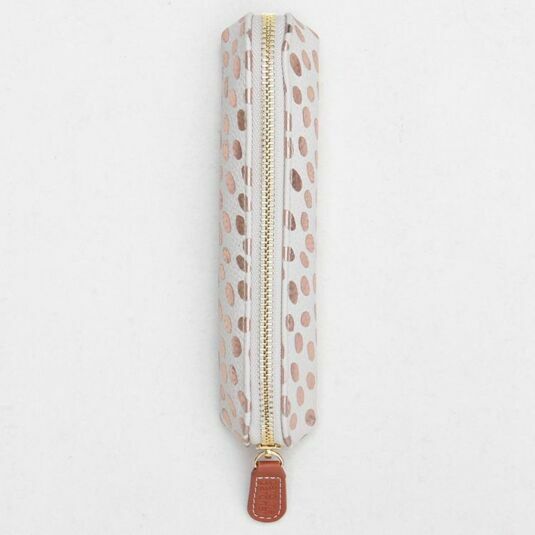 This Slim Pencil Case from Caroline Gardner would make the ultimate fashion statement in the classroom, office or on the go, with a metallic addition to a leather effect material. 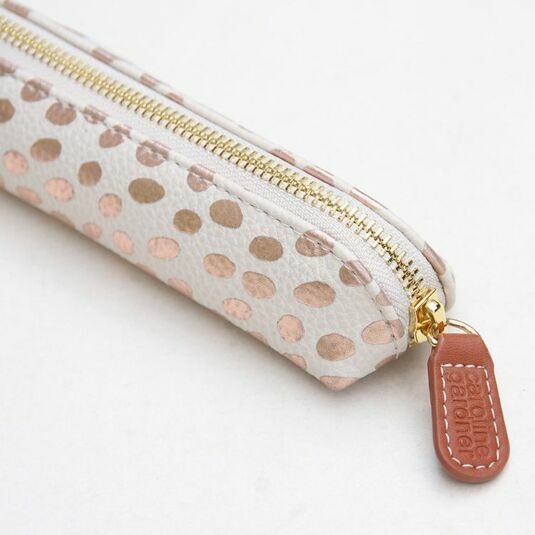 Fashioned into almost the print of a Leopard, splodges of rose tinted metallic design are dotted around the pencil case against a cream leather-effect background. The interior of the case is lined in the signature Caroline Gardner black and light cream material colouring and is accessible through the vibrant gold zip running along the top of the piece. A Caroline Gardner pull is found attached to the zip in a light brown leather-effect adding a further touch of elegance. 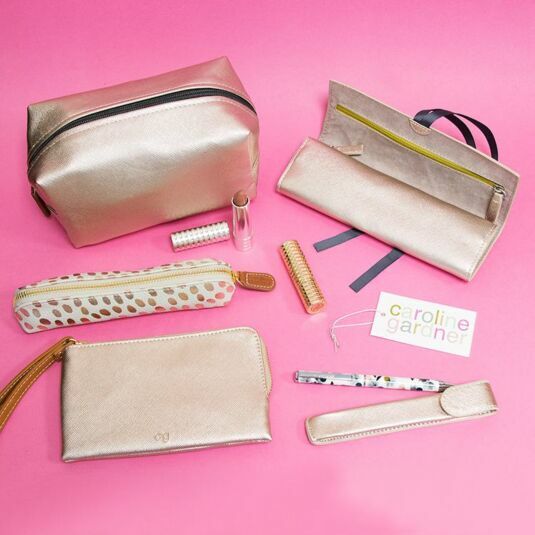 The perfect gift for any student, teenager or as a gift for a mother at birthdays and Christmas, this Caroline Gardner Rose Tinted Slim Pencil Case is perfect for those on-the-go stationery essentials for every fashionable creative. The Rose Tinted Range introduces the on-trend use of metallic rose gold print in modern and textured prints. This range is striking, sophisticated and will compliment a variety of outfits and accessories in fashion and home, adding a vibrant and contrasting addition to create an elegant look.